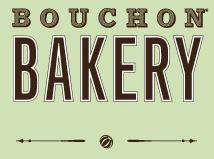 Last year we went for breakfast at Thomas Keller's Bouchon in Las Vegas, and absolutely loved it! 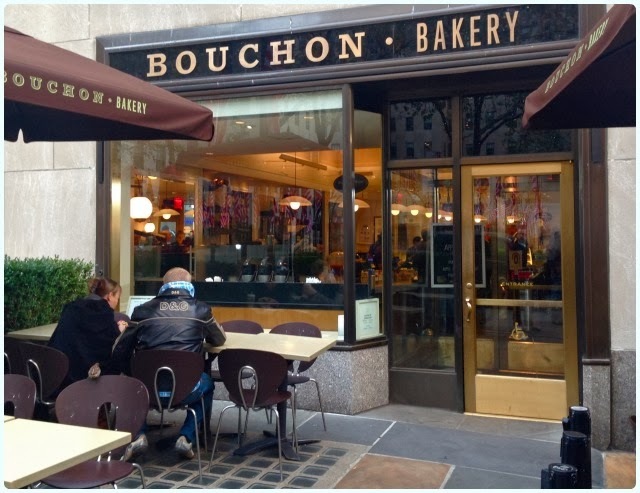 When we booked New York, I was keen to go and sample Bouchon Bakery at Rockefeller Plaza, to sample their baked delights. There was only ever going to be one choice for me; the spiced apple bundt cake with hot chocolate. This is one of my favourite bundts ever. It was moist, spicy and had a crisp sugar crust. 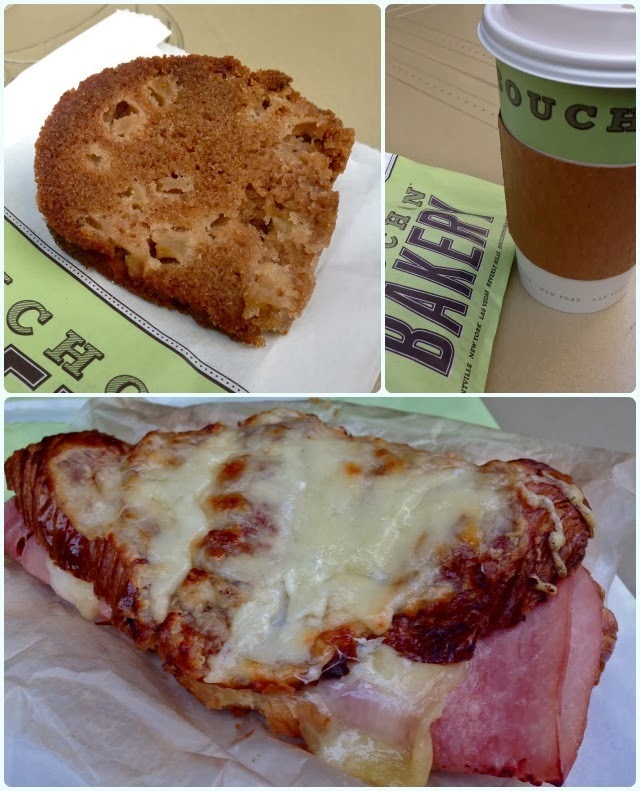 My husband decided french was the way forward, and had a ham and cheese croissant with coffee. It may not look too pretty on the picture below, but it was absolutely delicious! 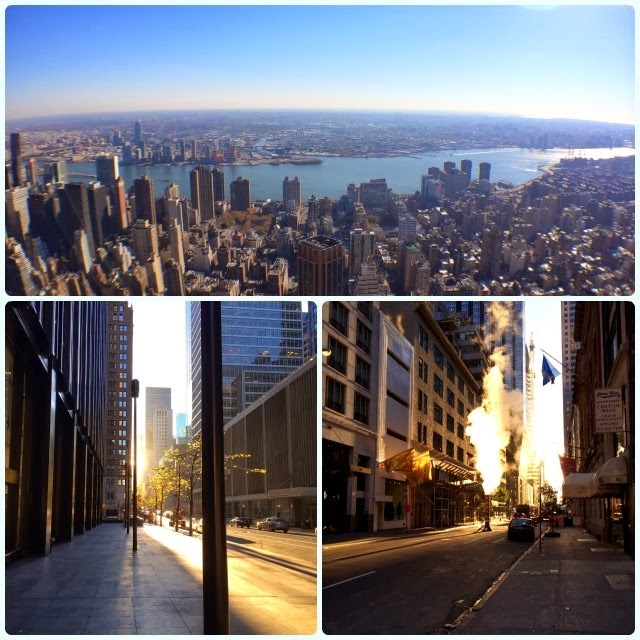 I was eager to try the small independent places in New York, as well as some of the big names which I had craved since booking. 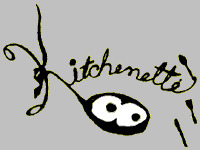 Kitchenette is a small diner in the Downtown area of New York serving home cooked food all day long, in a quintessentially New York fashion. There's another Uptown, but this gave us an excuse to go exploring on the Subway. In 1994 two friends set out to create a place which was warm and cheerful, with food like mom used to make. It sounded absolutely perfect on a morning full of snow! It was so cold my nose felt like it may drop off. 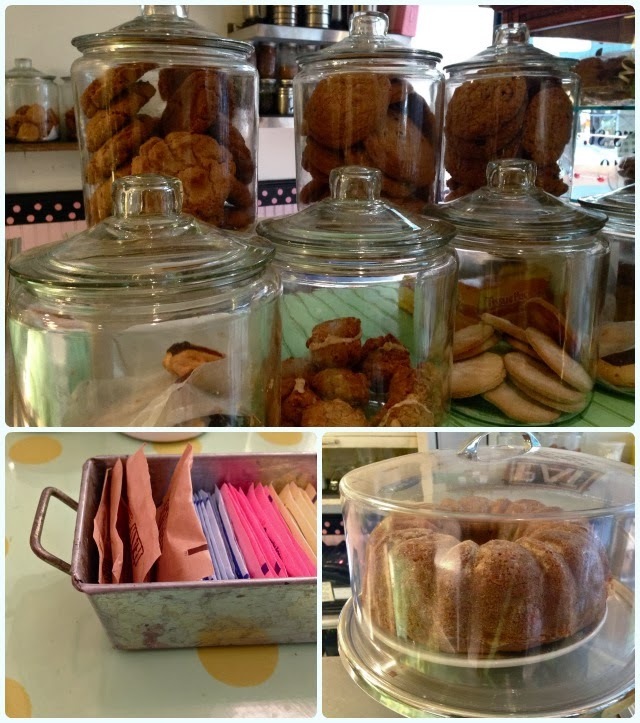 Kitchenette is a colourful collection of pastel chalkboards, biscuits in jars, swirly cupcakes and polka dotted walls. 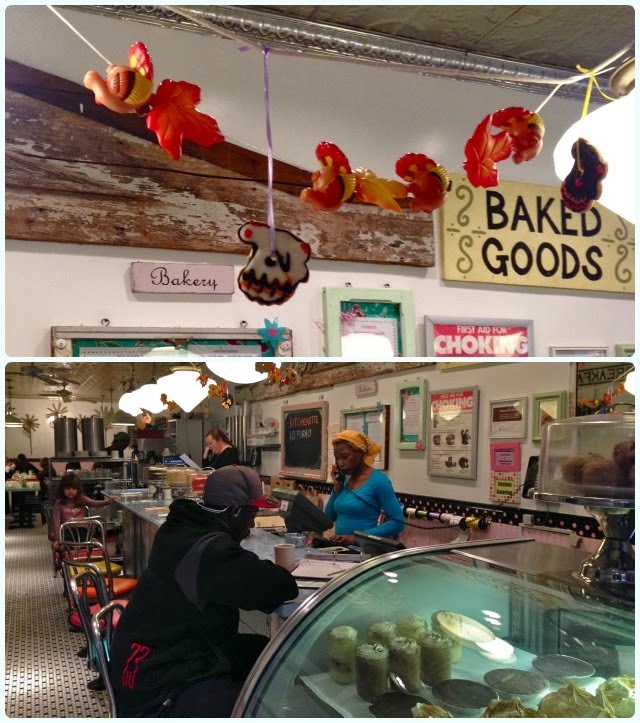 The service is friendly and decorations made by children give the place a family feel. 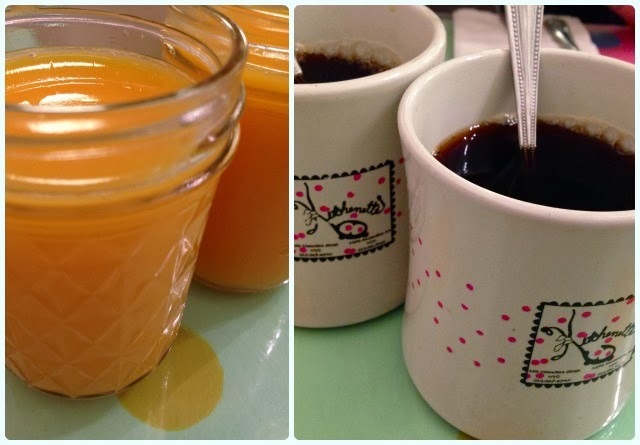 We both ordered a coffee to warm up our frozen fingers, and an orange juice to give us the necessary slap around the chops needed to bring us back into the world of the living. 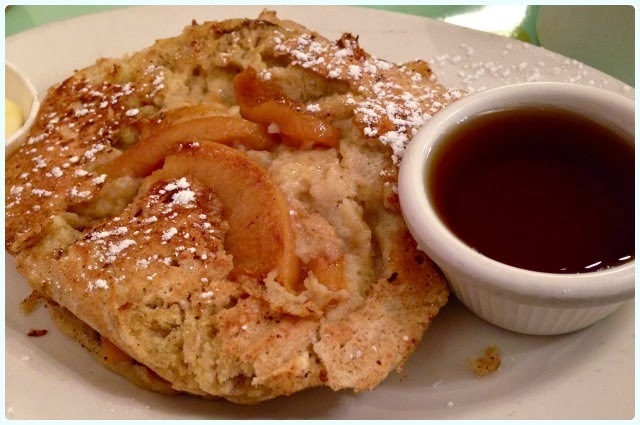 Peach Pancakes: Four grain batter pancakes made fresh to order with your choice of fruit. Peach seemed an obvious choice as it's not something I've seen in the UK. This was actually much lighter than I had anticipated, but I still only managed about half. 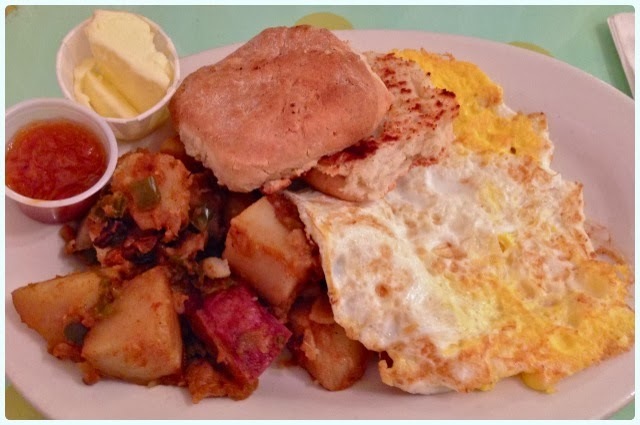 Farmhouse Breakfast: This consisted of two fried eggs, a biscuit (similar to a savoury scone) and spicy breakfast potatoes - perfect fuel for cold weather. 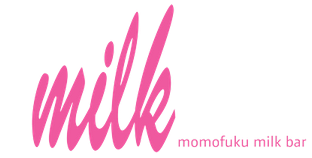 Momofuku Milk Bar is a bit like walking into any other coffee shop, but a closer look at the menu reveals a variety of unusual options and a rather cheeky sense of humour. 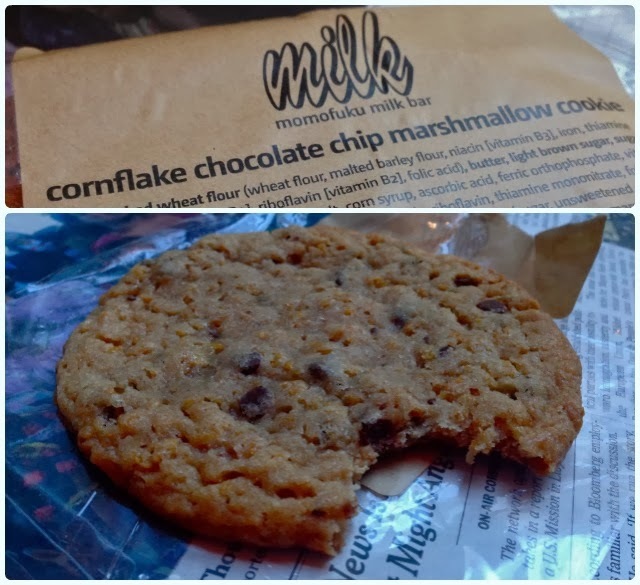 Cornflake chocolate chip marshmallow cookie: This seemed suitable for breakfast as it had cornflakes in it. Tenuous, I know. This was wonderfully chewy and sticky cookie with big chocolate chips. I managed about two thirds before giving up. However, it was a lovely surprise to find the rest in my handbag when looking for lip balm at 4am the next morning.. Jetlag eh...? 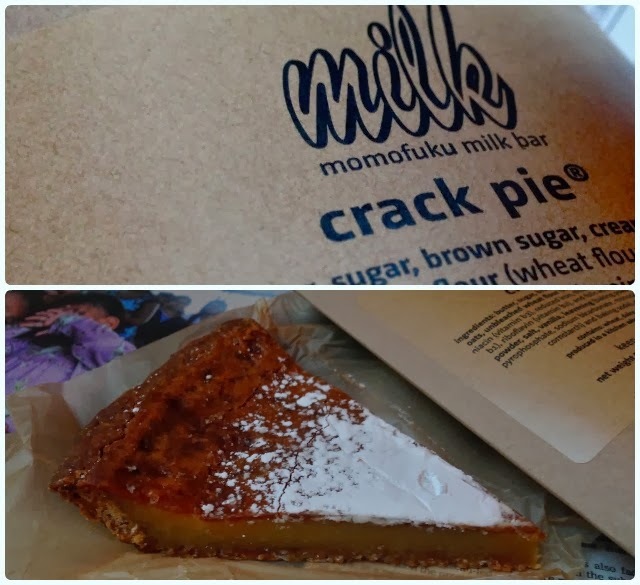 Crack Pie: It had to be done. This is a bit like a brown sugar tart; gooey, sweet and very tasty indeed. Not for the faint-hearted. 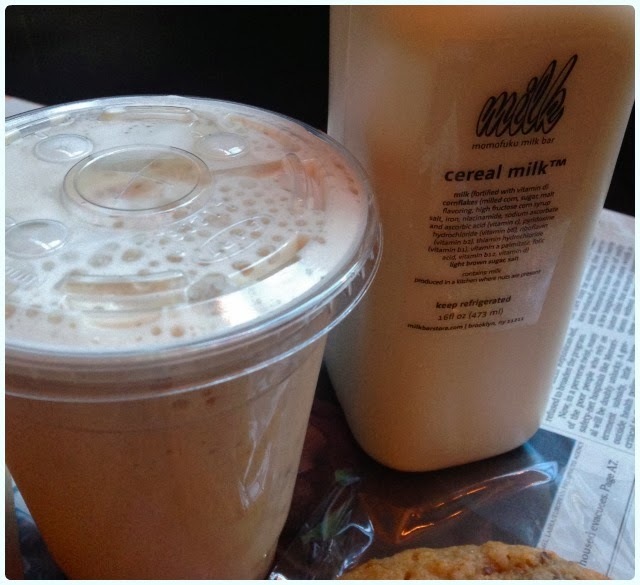 Cereal milk and pretzel shake: Cereal milk tastes exactly like the remaining liquor from a bowl of Frosties c.1991. That's the only way I can describe it. Not only is it sickly sweet, but it also manages to capture the pure nostalgia that is watching the Micky Mouse Club at Jenny's house in our pyjamas on a Saturday morning. Pretzel milk is a little more grown up. Sweet yet slightly salty - the same sort of morish feeling you get from eating one cheesy chip and then wanting to devour the whole lot. 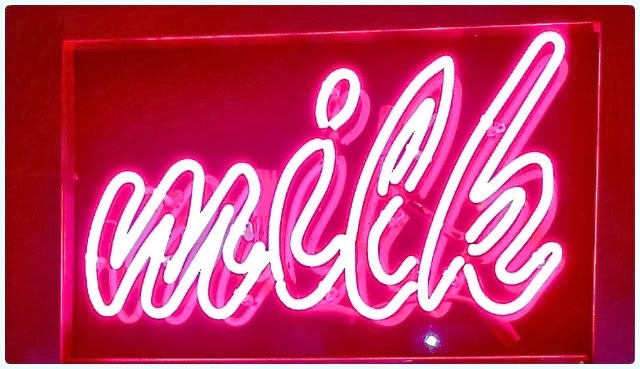 We ended up eating our breakfast confectionary in the hotel lobby to which Milk Bar is attached, as there are no seats in the shop itself and it was way too cold to consider drinking a milkshake outside! There's nothing ground breaking going on here, but it's a fun little place to try. 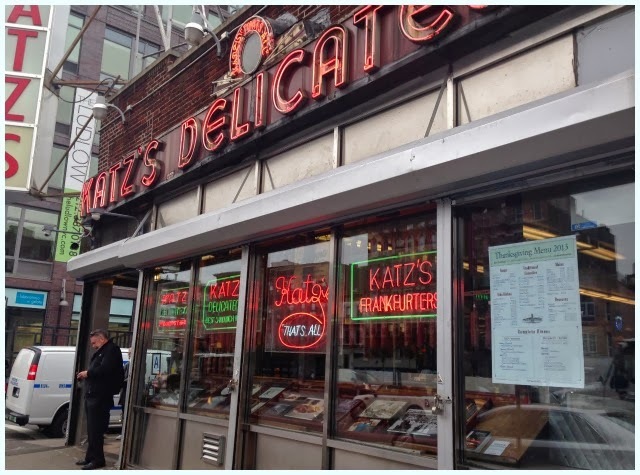 Ask for recommendations in New York and Katz's Deli will almost always appear. 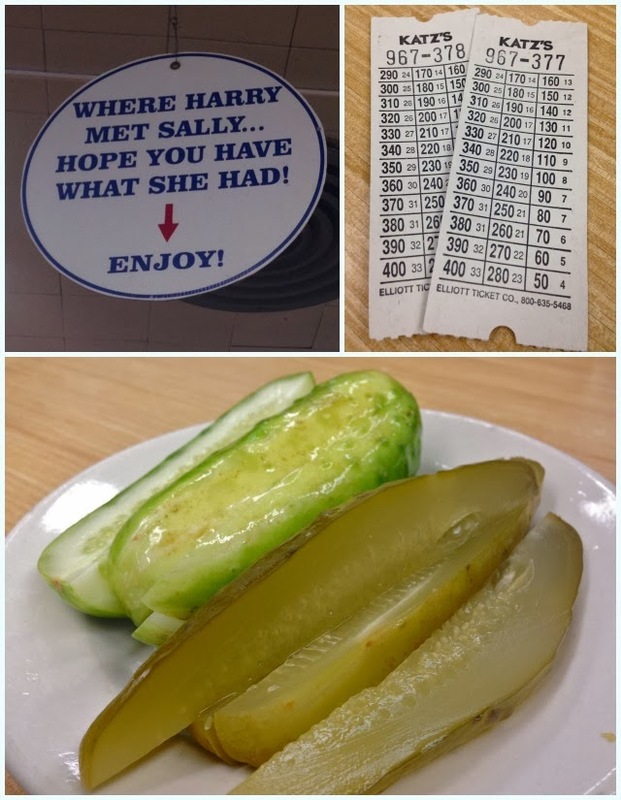 I'm from an industrial town in the North of England, which feels a million miles away from the glitz of New York City, yet I know a surprising number of people who have made the trip to a glorified butty shop on the other side of the Pond. 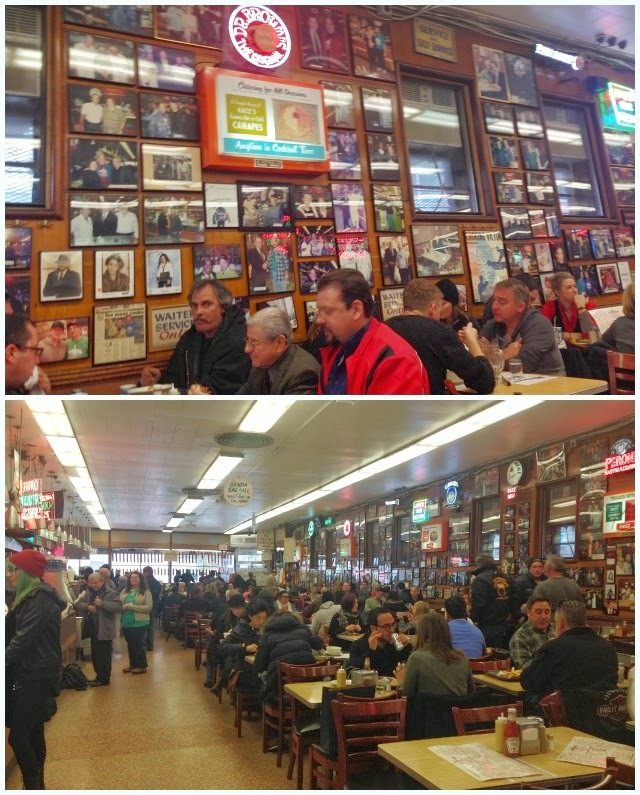 It was immortalised in 'When Harry Met Sally', and their walls are covered in pictures of the celebrities who have eaten there. It's heaving. All the time. 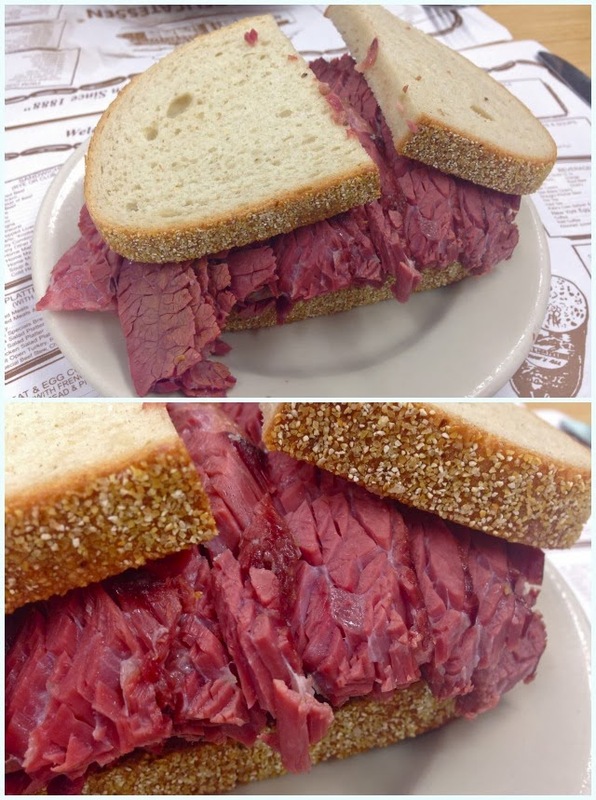 Founded in 1888, this New York institution serves some of the best sandwiches in the world. There's no Man vs. Food, ten feet tall types here, just home cured meats served simply. Their menu is actually quite extensive, but everyone around us was on sandwiches, despite the nip in the air outside. The best piece of advice I can give you, is do not dilly dally about on arrival. You need to make a decision and fast - am I going table service or self serve? I'd recommend table service for your first visit, because god help you if you don't know exactly what you want when you reach the front of the line. 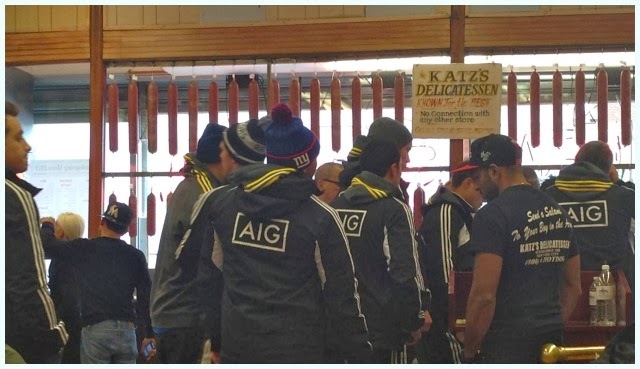 Go to the left for waiter service, right (and join a queue) to order immediately. You may be expected to share tables too - this is because it's generally 'rammers' all the time. 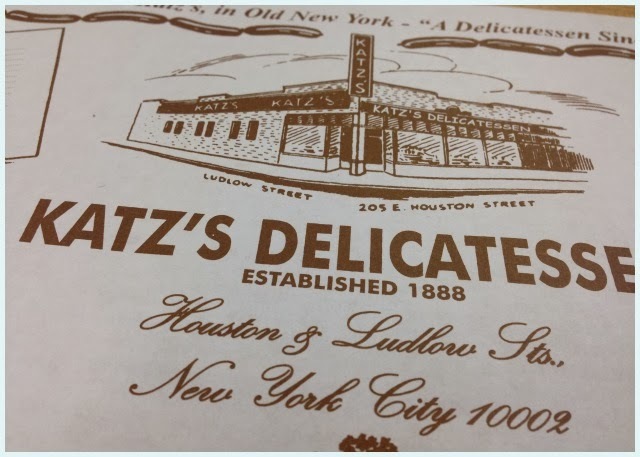 The walls are testament to the colourful past of Katz's. There must be hundreds of prized photographs; collected as trophies from the celebrities who have dined there over the many years, although I'm sure every gaff in town has a bare faced picture of Gene Simmons with his tongue out. 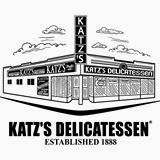 Although this feels very much like a fast food restaurant, my husband was thrilled to find Brookyn has brewed a special 'Katz's Ale' especially for the venue too. 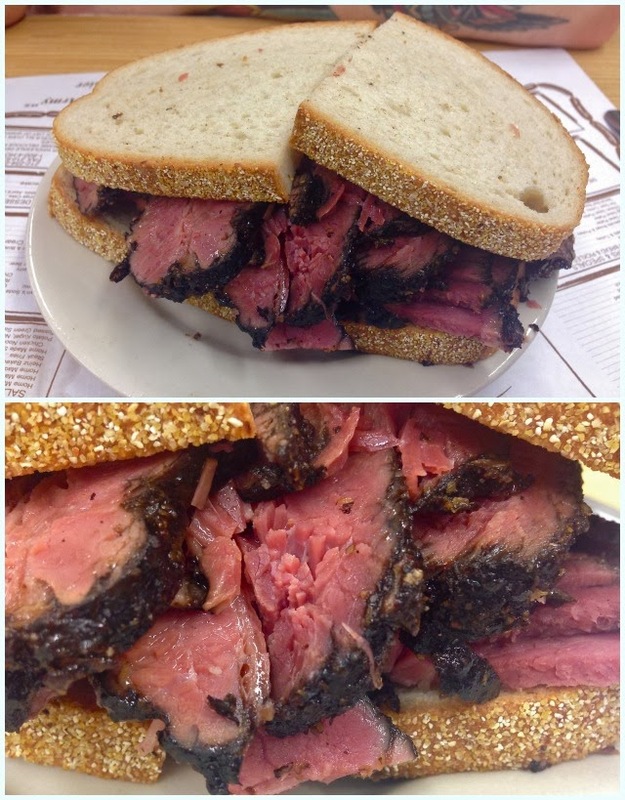 Pastrami - Smoked to juicy perfection and hand carved to your specifications: Yes this really was as good as it looks. Charred spiced edges surround the most juicy and tender meat. To die for. My husband ate every scrap. Corned Beef - Our secret "dry cure" pickling formula requires a full month to be ready to serve: Forget the corned beef you know. This may not look like the Brazilian stuff you're used to seeing in a tin, but it tastes like it - only a hundred times better. Each flake of beef just falls apart when bitten. I managed half. I'm pathetic. I love a good cuppa. It has to be strong with a little milk and no sugar. If I am offered a brew, I ask for it to be the same colour as David Dickinson's tan. I'm very fussy. The only thing worse than pale, milky tea is a tea slurper. I will bat you with a rolled up newspaper if you do this in my presence. 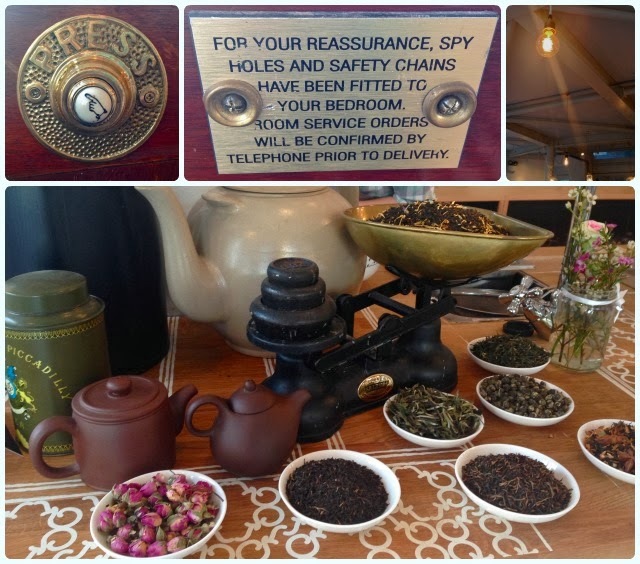 I adore proper tea shops where the blend is carefully considered, and sweet little accompaniments adorn the shelves. My perfect morning is spent shopping in Manchester whilst dipping in and out of lots of little places like this. Richmond, Home Sweet Home, Sugar Junction and Rosy Lee are amongst some of my favourite places to revive feet like trotters and a mouth full of feathers. Proper Tea is what happens when you brew up a blend of northern quarter tea experts 'Teacup', with a Blue Peter whizz kid turned ghost hunter, Yvette Fielding. You really could not make this up. They made a decent living from serving tea, she likes drinking it. Match made in heaven. Team that up with a decent design agency who know their chintz from their chic, and pop it on a site of historical beauty and you have Proper Tea. No ghosts though. Not one. 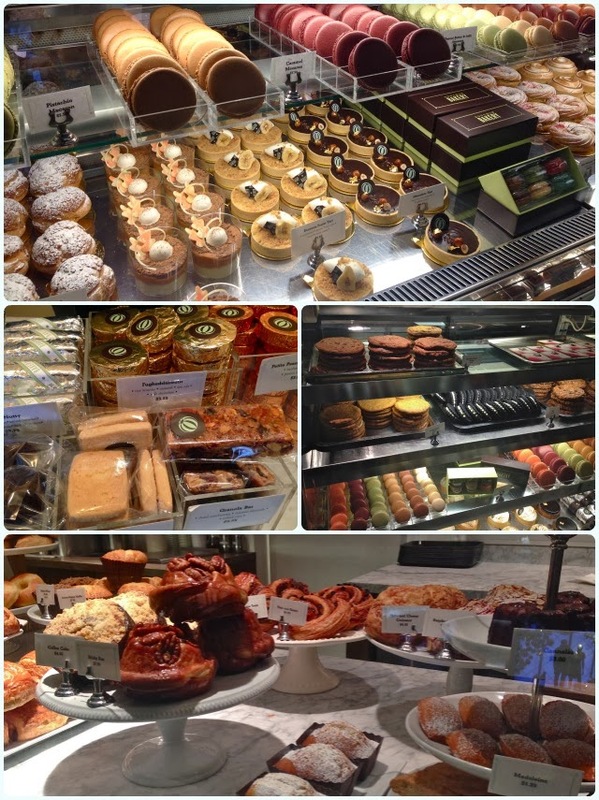 We nipped in on Saturday morning for a pre-shopping pick me up. I'd read about it a few weeks ago, but hadn't given it much thought until Manchester's own Miss Mustard reviewed it. That gave me the swift kick up the backside required to give it a go. 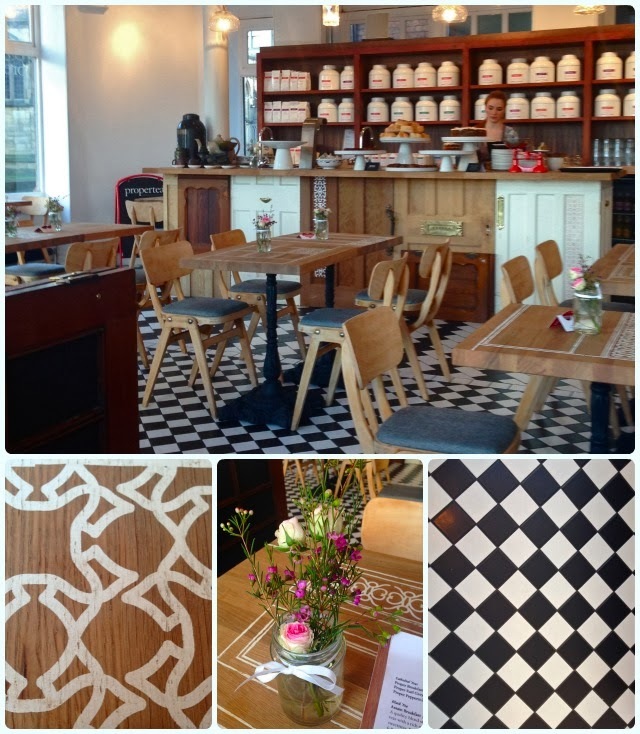 The tea room is made up of reclaimed doors fashioned into furniture, delicate stencilled table tops and jam jars filled with fresh flowers. Antique tea urns line the shelves, but are juxtaposed with the modern minimalist design of the tea products for sale. 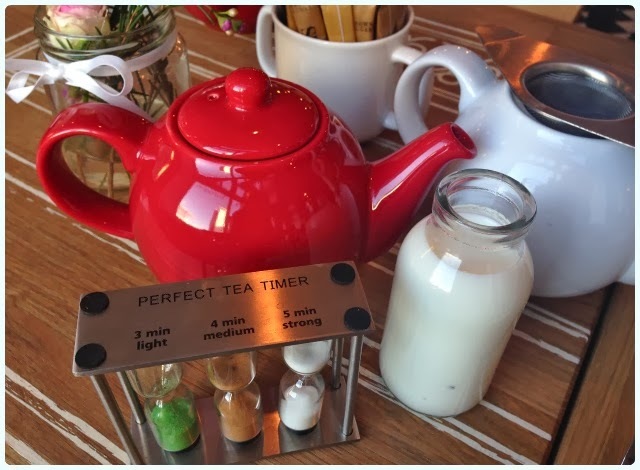 Our teas appeared with both a red and white tea pot, and had timers. The idea is to let it draw to your desired strength, then pour the contents into the empty white pot. This stops the remaining tea from becoming stewed. Clever. I opted for the house breakfast blend, which was absolutely the perfect strength for me (yes, I did leave it for five minutes...). My husband had the Darjeeling second flush, which had a lovely fruity note to it. 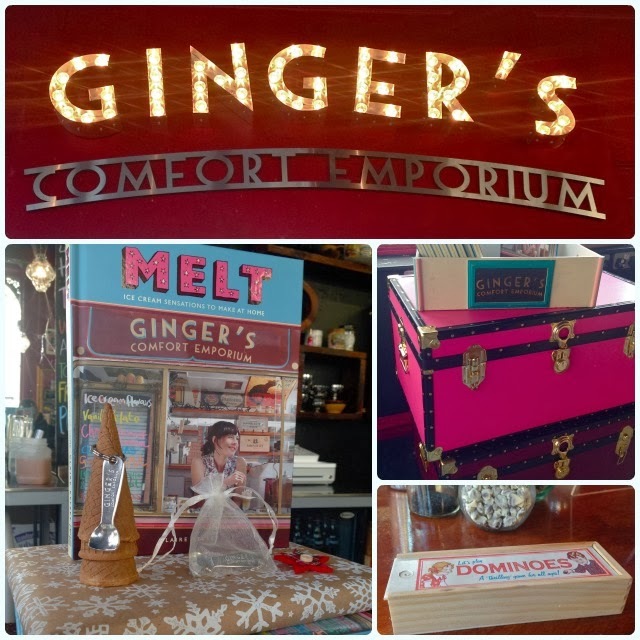 Although we had already planned to go to Almost Famous for lunch, it would have been horrifically rude not to sample some of the sugary treats from the display. I fancied a superfood flapjack bite, but then was also talked into a chocolate one as they were two for £2 - like I was ever going to resist that. Both were wonderfully chewy and not too sweet - perfect with a nice cup of hot tea. 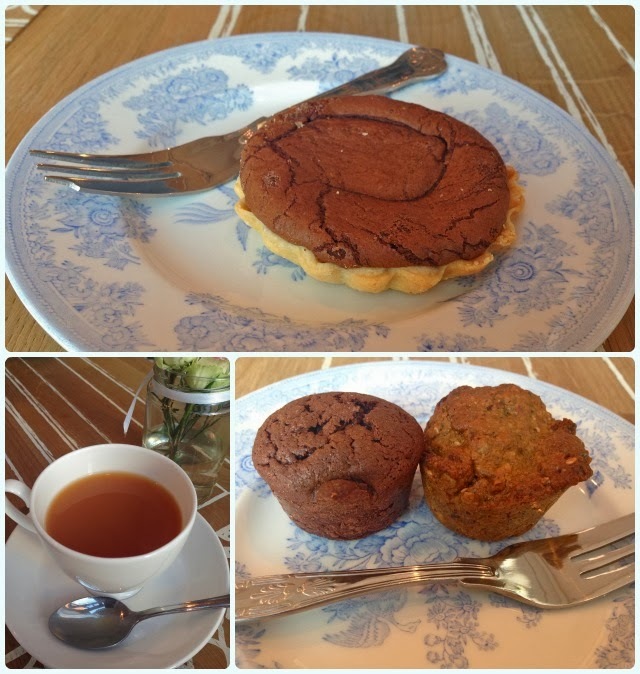 Paddy had a 'Townie', which was a little pastry cup filled with a layer of jam then peanut butter and chocolate brownie. It was gone in seconds. 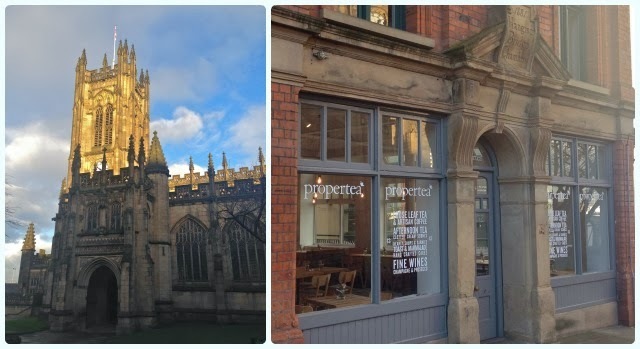 Proper Tea is nestled in a quiet little corner of Manchester, which is the perfect little oasis away from the bustling crowds. I can see this becoming a regular little pit stop. We had half an hour to kill. Manchester was heaving with bargain hunters and my patience had run dry at least forty five minutes earlier. We stood at the crossing outside Vinyl Exchange feeling a little left of perplexed, then there it was. Literally, a message from above. 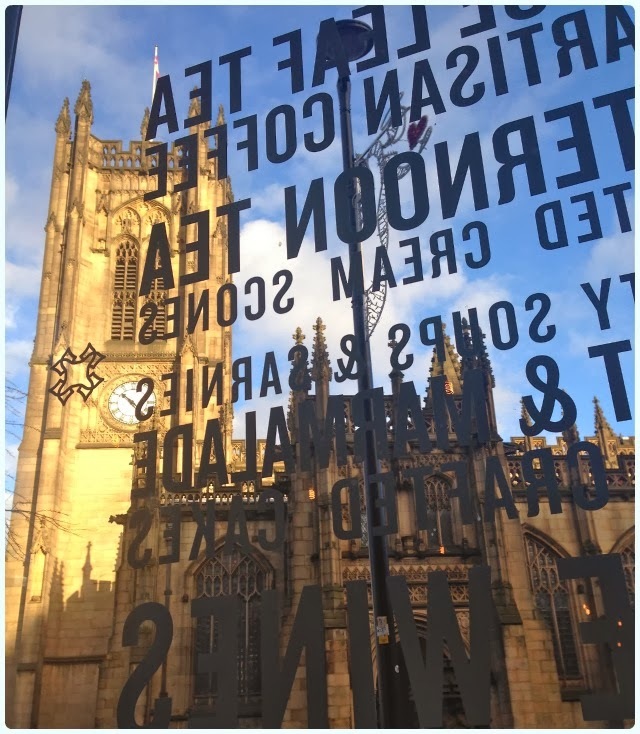 As I gazed through the window of Manchester's iconic Affleck's, a bright light shone. It said 'Ginger's' and I was saved! Hallelujah! 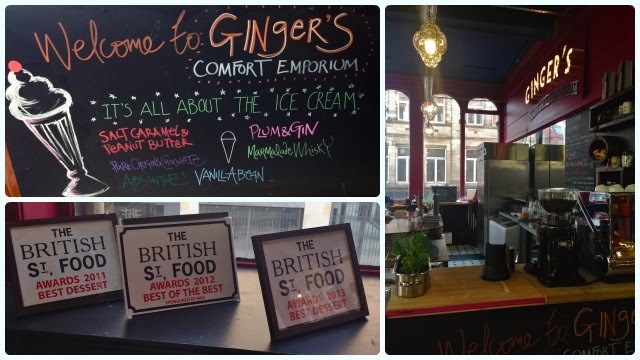 My introduction to Ginger's Comfort Emporium was at Bolton Food and Drink Festival in 2012, when we enjoyed rhubarb crumble and salted caramel ice creams. We were converted. Ice cream would never be the same again. I've bumped into 'Ginger' aka Claire Kelsey a few times since our first iced encounter, and never sampled the same recipe twice. 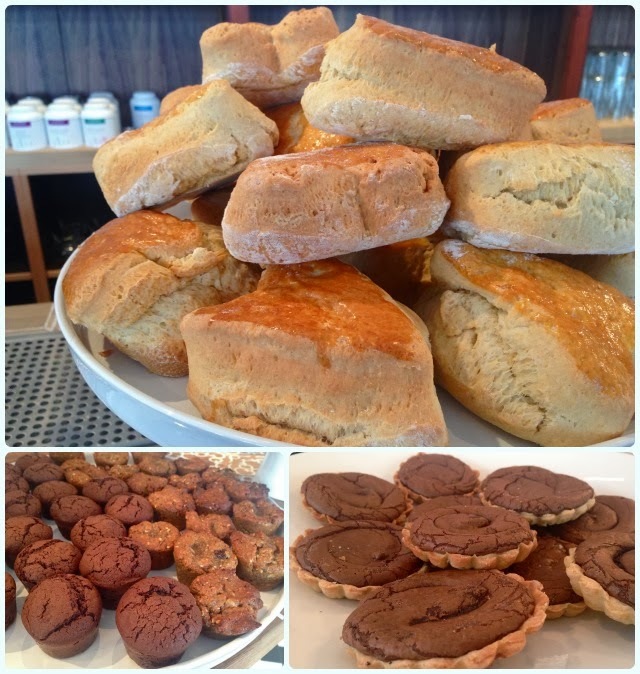 She's constantly evolving, but keeps the 'classics' like her famous 'Chorlton Crack' going throughout the year. 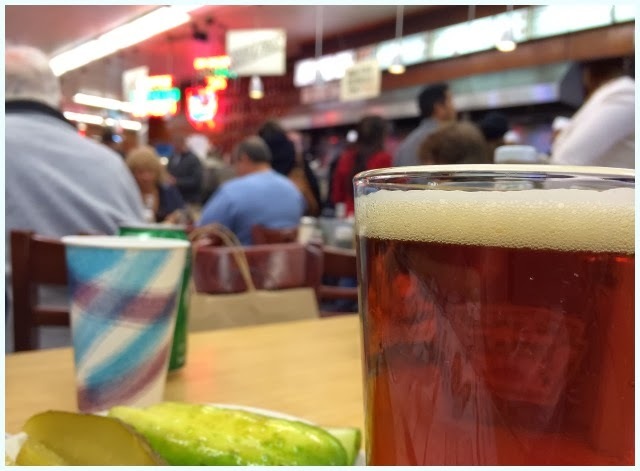 Faded are the memories of long balmy days spent in beer gardens, and Saturday was a cruel reminder that those summer days are a while off just yet. Fear not, for Ginger's has moved indoors, and Claire has puddings in mind. I've not been in Affleck's since I was around 18 years old - I'm a little older than that now, but let's just say that we'll agree that I've not been for a while. I've nipped in for old time's sake, but never really browsed since I had pink hair and metal in my face. The new emporium is where I remember a bit of a dingy cafe sitting. Although it retains that infamous Affleck's vibe of vintage shabbiness, the shiny new signs and piles of Claire's own book, 'Melt', make this feel much more like a sophisticated little outfit. She may drive around in a 1977 Ford Transit ice cream truck in the summer, but its paintwork has been lovingly restored and embellished with swirls, twirls and a little glitz too. The devil's in the detail. Light sorbets have been replaced by the likes of seasonal plum crumble, marmalade on toast and hazelnut and white truffle ice creams. She's even brewed up an Abstrakt 14 version, which is a nod to her Manchester neighbours, Brewdog. Whilst my husband opted for a soul reviving coffee, I had to sample the icy wares of the new indoor parlour. Although there are several specials listed on the colourful blackboard style menu, I had my heart set on plum crumble. 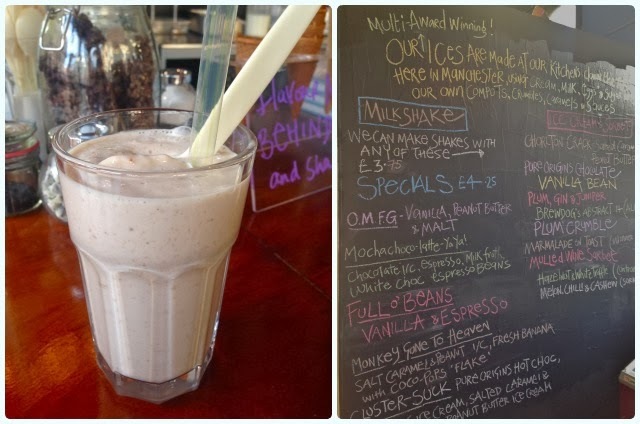 Yes, I had a plum crumble milkshake in Manchester, in December. Sue me. Granted, I think Claire's machinery was tested because of the crumble element, but what resulted was a rather fine shake indeed! Sweet and fruity with the occasional straw demolishing oat cluster. I'm hugely envious of what Claire has achieved; she wanted to make ice cream, so that's what she did - and saw that it was good, very good.